Thao & The Get Down Stay Down have roamed my playlists for a long time. I started out binge-listening the song ‘Geography’ but got acquainted with the rest of their work in the weeks that followed. Hereafter it eventually took me about 5 years to completely wear out their first two records, ignoring the band’s 2013’s follow up, We The Common, in the proces. 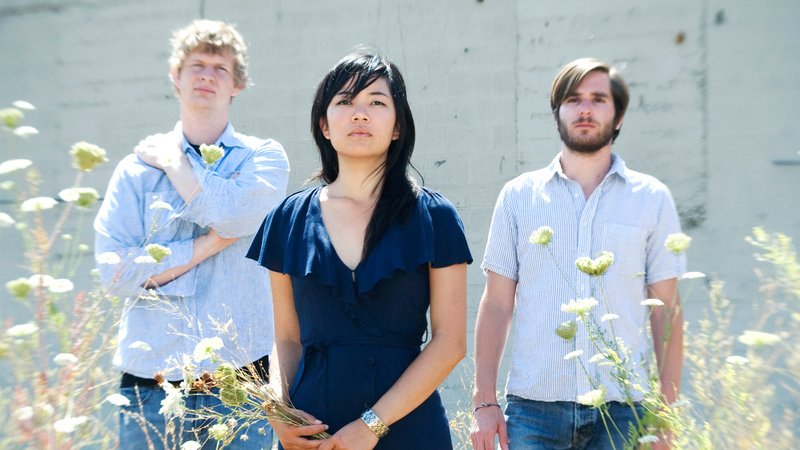 Earlier this month Thao Nguyen and friends released a brand new record called A Man Alive, so let me simply pick it up from there. When I revisited We Brave Bee Stings and All (2008) and Know Better Learn Faster (2009) I again was surprised how playful Thao Nguyen addressed her childhood stumblings and sometimes harsh life lessons. Together with The Get Down Stay Down the rich pop-tinged music was reason enough for the most of us to get down at the time. Naturally I won’t expect the band to pull the same trick on the fourth full-length release. After an initial spin or two I can safely say they don’t fall into repetition but still manage to produce a very amusing piece of work. A Man Alive is a 12 tracker with a playing time of about 40 minutes. The record is fused with creativity that changes constantly without, strikingly, becoming overdone. Merrill Garbus, aka tUnE-yArDs, who produced the record, is the one to thank for making A Man Alive as adventurous as it sounds. All starts with the heavy synted ‘Astonished Man’ and melodious ‘The Evening’. It’s a cheeky ode to their earlier work only now it all sounds much more robust. At moments ‘The Evening’ reminded me of the alluring French-Finnish indie pop formation The Dø whilst a track later, on ‘Departure’, I thought I recognized the rawer edges of Animal Collective. When we are only midway through the band already seems overcharged, pushing in busy pallets of tin-can percussion, industrial noise, surf rock riffs while topping it off with a variety of bubblegum choruses. The second part of the record continues in the same way but also leaves some room for reflection. ‘Guts’ for example, is a ballad about someone who wonders why someone doesn’t has the courage to visit a childhood sweetheart: “You know I’m so easy to find, you won’t come get your girl“, Nguyen sings in all uncertainty. Also on ‘Millionaire’ serious theme’s aren’t shunned. Elegantly Nguyen sings about her troubled relationship with her father: “Oh daddy, I broke in a million pieces. That makes you a millionaire.” Elsewhere perkiness becomes rampant again. ’Meticulous Bird’’ stands out here because of it’s hip hop substructure which is further toned up by Nguyen’s shrill fly in the face rapping. The ending is of a lighter nature. ‘Hand to God’ features a funky guitar line that is followed-through by ‘Endless Love’s’ modest hum-along undersong. As said A Man Alive is an adventurous piece of work. With help of Merrill Garbus I would say the already very lively catalogue of Thao & The Get Down Stay Down becomes even more lively now. This is an outstanding job because the breeziness of the early years can’t be taken for granted anymore. When progressing through the record all can feel a bit off-the-cuff at certain points. Perhaps to some this jumpiness is less appealing. 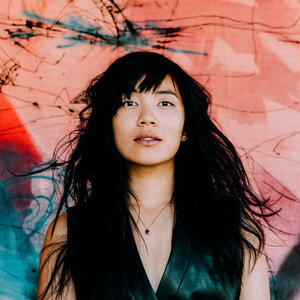 If so I would recommend to push through, for Thao & The Get Down Stay Down again offers listeners a record that is simply full of plain old fun and at the same time is interesting enough to keep playing in the foreseeable future. This entry was posted in WRM and tagged 2016, A Man Alive, Animal Collective, cd, indie, indie pop, Indie rock, Know Better Learn Faster, Merrill Garbus, pop, review, Ribbon, surf rock, Thao & The Get Down Stay Down, Thao Nguyen, The Dø, Tune-Yards, We Brave Bee Stings and All, We The Common. Bookmark the permalink.